So let’s say that you have a child in 3rd or 4th grade or even 10th grade who is reading at the 1st grade level. You know that your child is otherwise very bright, so for the life of you, you can’t figure out why reading and learning is so difficult. What does the school do? Well, if it’s a school specially equipped to help students with dyslexia, visual processing challenges, auditory processing challenges and the like, then you’re in luck! Your child will probably receive the help he or she needs. If the school is not equipped, as is the case for many of our schools, then please be prepared for an uphill battle. Many of you are in the midst of that battle right now. My heart goes out to you. Of course, there’s the whole IEP (Individualized Education Program) process. Or perhaps it’s a 504 for you. Either way, your child’s teachers and administrators tell you what they can do to TRY and help. They write their plan in the IEP. Perhaps they even follow through with the IEP. So then what happens? Months go by. No progress. You check in with the teacher or the school. They say they’re following the IEP. You say we need to change the IEP. While some schools are quite accommodating in that regard, I’ve heard far too many times that parents simply get the run-around. “We can’t change anything right now. You’re asking too much. It’s too expensive.” I’m pretty sure no administrator would really say that last one out loud, but it’s likely part of the equation. So here’s a disturbing research finding for you. According to the National Institute of Child Health and Human Development, the number 1 cause of reading problems has to do with what they call neurological deficits. Don’t worry. If the word deficits scares you, just know that brains can be retrained and rewired. Neurological “deficits” can be overcome. That’s not actually the disturbing part of the finding, by the way. Inadequate preservice teacher education on reading instruction and problems. Lack of district commitment to proven instructional methods. Lack of district commitment to early identification and intervention. District “remedial” methods that don’t actually remediate. Neuroscientists do offer us a bit of promising news. One study suggests that we may be able to use fMRI scans to identify reading difficulty before reading even begins. (Z. M. Saygin et al., 2016) If we can identify children at risk for future reading struggles even before kindergarten, then we can implement effective strategies to prevent any reading difficulties from happening in the first place. Amazing, right? But wait. Oh yeah. There’s that lack of school district commitment thing again. How will that bit of encouraging news even help us if no one is willing to intervene? Should You Stop Fighting for Intervention Services? 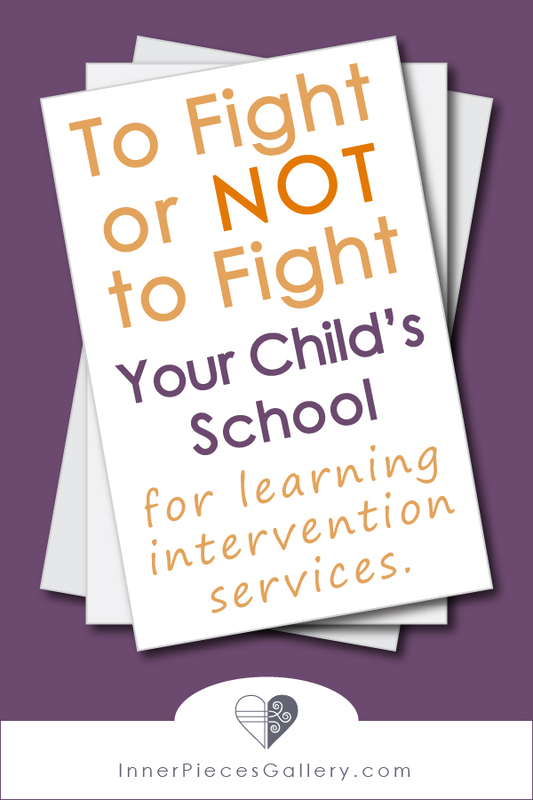 To fight or not to fight your child’s school for intervention services, effective ones, that is, is a personal decision that only you can make. If you decide that your energy is better spent taking matters into your own hands then please keep reading. I offering an upcoming online course designed to help you remove the limits to your child’s learning. Does the following describe you? If you are a concerned and dedicated parent ready to roll up your sleeves and help your child overcome many, if not all, of his or her learning difficulties (a.k.a. disabilities) please add your name to the waiting list. I’ll keep you in the loop and let you know when the course is available next.